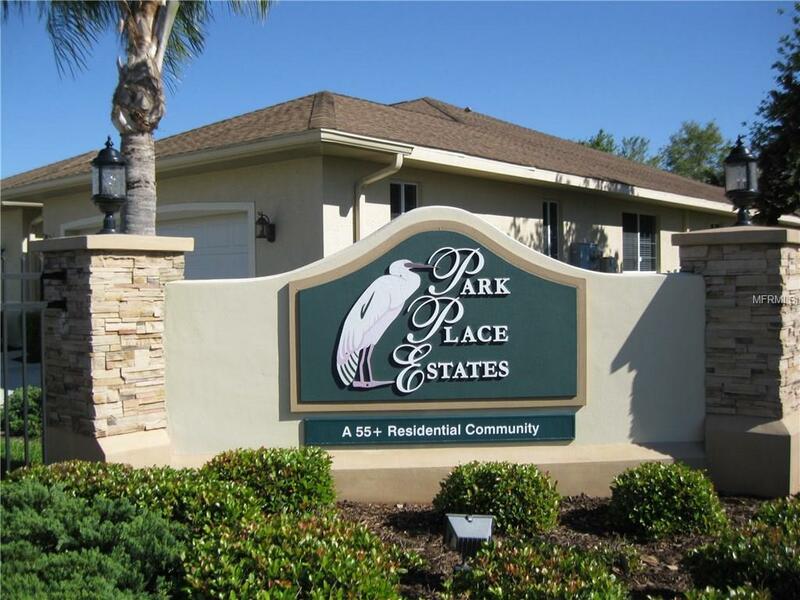 JUST LIKE A NEW UNIT : SOLD TURN-KEY FURNISHED : Beautiful 2-bedroom 2-bath Villa in Park Place Estates. Huge great room open with your kitchen and dining room. Kitchen is very large with granite counters, lots of cabinets, all the appliances even the raised dishwasher. Split bedrooms with the large master on the back side of the unit for that extra privacy and access to your screened lanai. This unit was built for easy access in a wheel chair and even has the roman shower that you can wheel your chair into. This unit shows like a brand new one and has your city water and sewer. Make a point to see it and you will make it your home. Additional Lease Restrictions Can Lease For 6 Months To A Seasonal Renter Or Has To Be A Minimum Of 12 Months.